Next review Instaflex - Unauthorized credit charge. 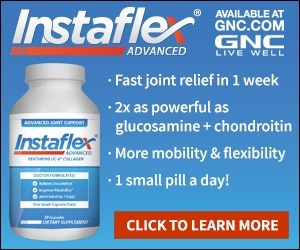 I ordered instaflex and called in to cancel. They only refunded 1/3 of you money and refuse to refund the rest of it even though I never received the product. I have called in a few times but they refuse to issue a refund of any kind. No one will give me the address of the company in Boston Ma. I guess they are hiding from the Public and I guess that is good when you are stealing from them. I want to turn them into the BBB but they have never heard og them I guess. Review #263637 is a subjective opinion of User263637. Instaflex is not working for me.I want to cancel any future shipments.